Body Language Volume Two is unlike any other posing material out there. This is so much more than just another PDF Guide. We've included an instructional posing video as a companion, taking the educational experience to a whole new level! The video features step-by-step instructions on a variety of poses within various locations. 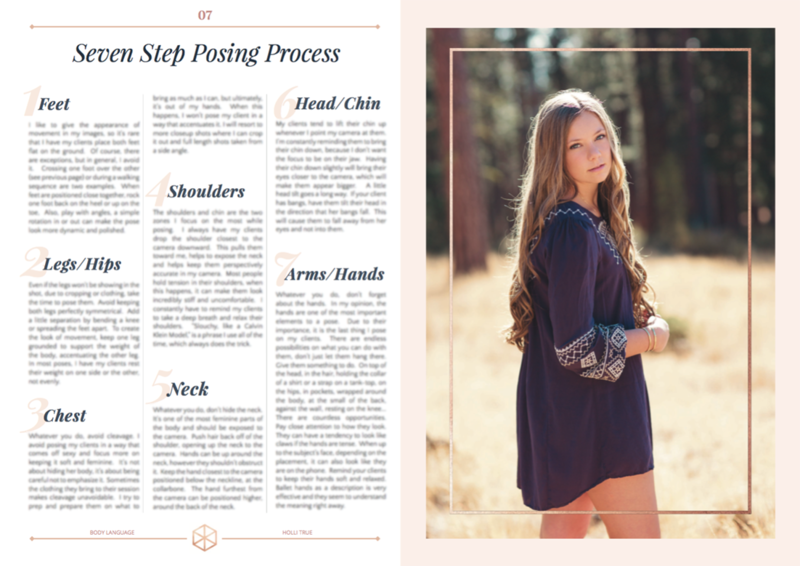 You will learn how to implement flow-posing into your session workflow, as well as how to maximize each pose by capturing multiple shots with minimal adjustments. You will also see firsthand how I communicate with my client and how I explain each pose in real-time. The PDF is LOADED with written content and over 150 images. I have broken down in detail each step of the posing process, giving you all of the tools necessary to successfully master the art of posing. Flow posing, capturing movement, working angles, posing head-to-toe, understanding perspective and so much more! You'll have access to all of it with Body Language V2. All sales are final. This product may not be distributed, shared or resold, in part or in whole, under any circumstances. 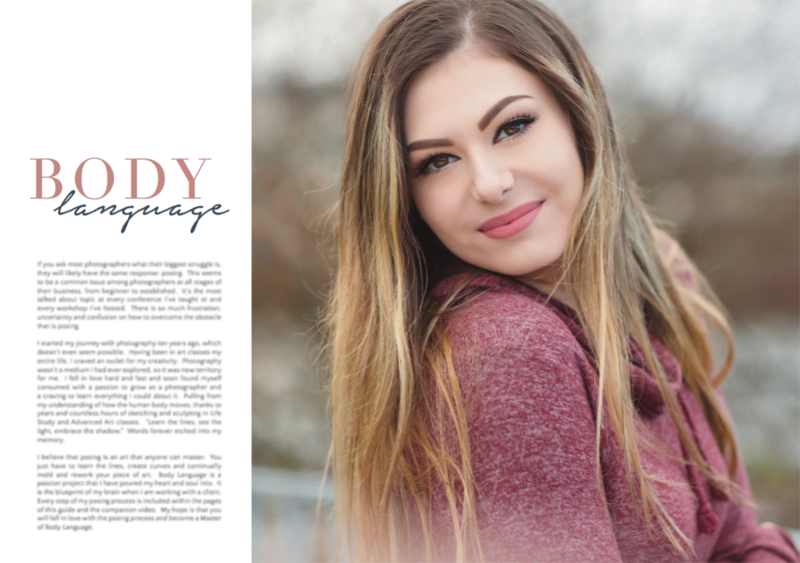 "I recently purchased the body language volume 2 PDF and video, watched it and took the tips to apply on my latest senior session. It blew me away that I was able to get more, but shoot less, and make my senior look more effortless and natural than before. I was SO excited when culling through their session and seeing how many beautiful portraits I got from 3-4 poses. If you're looking for a way to learn more about guiding, posing, and getting the best results ever you should definitely purchase this guide!" 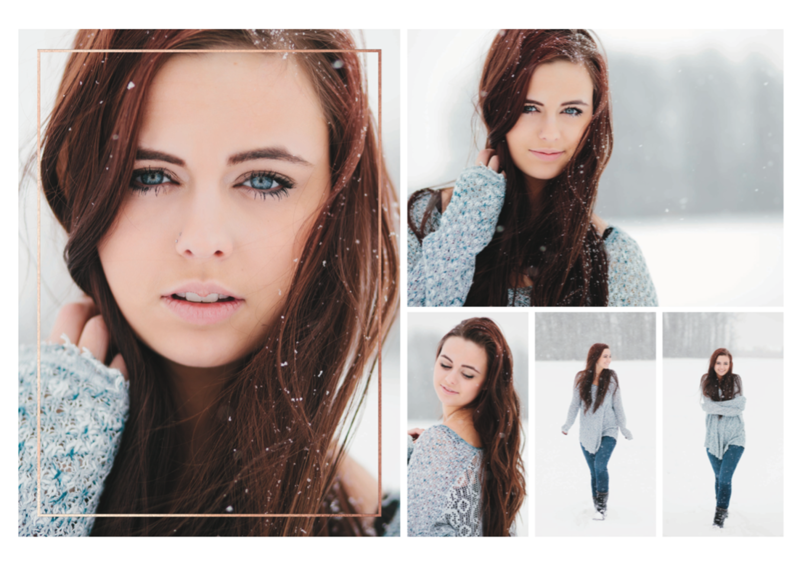 "Let me first say that Holli True is one of my favorite senior photographers!! I learned so much from her at a Click Away conference last year. I recently got Body Language and I love it!! 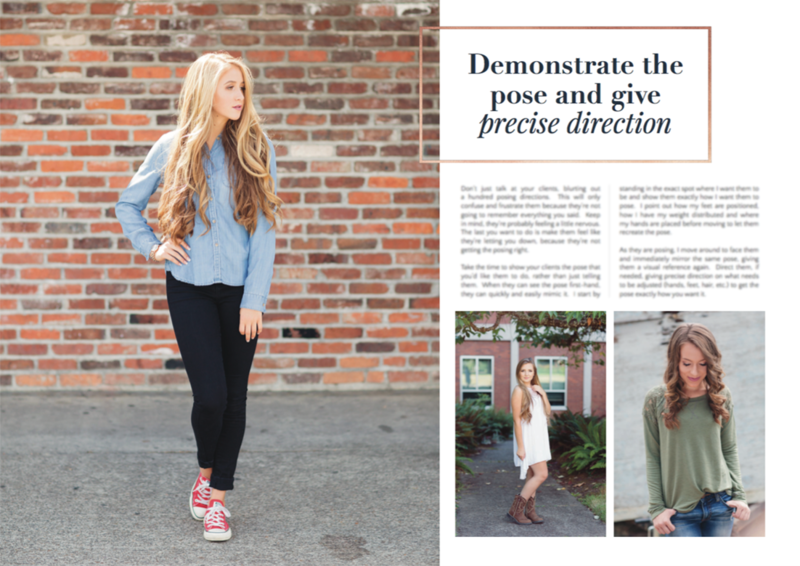 She shows you exactly how she poses and how she keeps the senior poses natural. I love being able to see it on video instead of reading it and hoping I do it right! Thanks so much Holli! 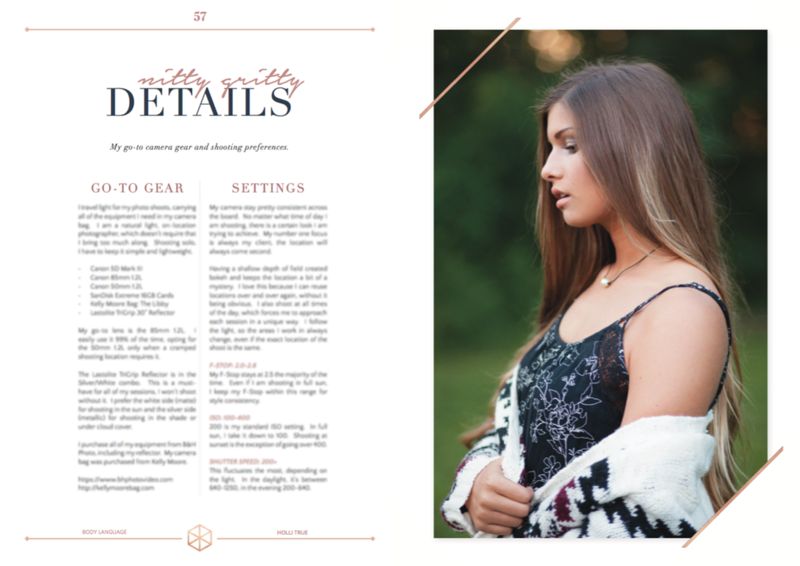 This is a really great product that has helped me a ton with my senior model shoots and sessions! 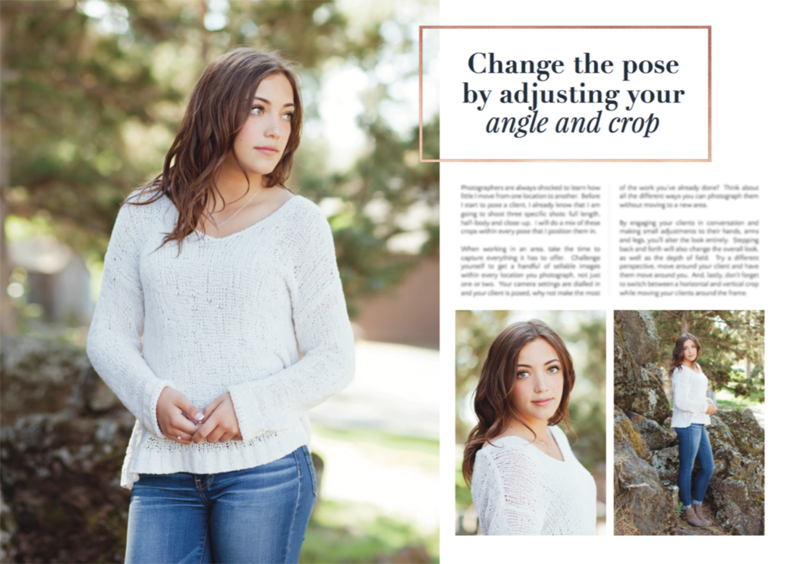 I would recommend this to any photographer who wants to easily direct their seniors into beautiful, natural poses."